There are many different types of insulin used to treat feline diabetes. Part of the trick of feline diabetes is that none of these insulins are exactly like cat insulin. You must find, through trial and error, the best insulin for your cat. Many vets prescribe human insulins. These are cheap and easy to get and work very well for many cats. Humulin N, L and U are three that are typically prescribed. 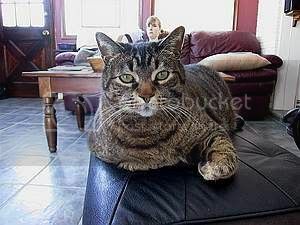 The N insulin is a short acting insulin and probably does not have enough duration for most cats. It can have sharp steep drops (where the blood sugar drops too low) and then it can wear off quickly causing the blood sugar to increase quickly. L and U (Lente and Ultra lente) are medium and longer lasting insulins. Unfortunately, Eli Lilly, the manufacturer has discountinued these and many people whose cats have been regulated on these are scrambling to find alternatives. Caninsulin is a pork based insulin which is prescribed by the veterinarian. It is considered a medium acting insulin. This is also knows as Vetsulin in the United States. Lantus is a newer human insulin that has some promising research done on cats. It is very long lasting insulin. PZI is another insulin and it can be found in a pork or beef format. The insulin is in a protamine zinc suspension, which makes it a long lasting insulin as well. Many cats do well on the beef derived PZI.